To update an old proverb for the Information Age, digital politics makes strange bedfellows. In the current polarized atmosphere of Washington, certain issues create more interesting combinations than others. In that context, it would be an understatement to say that’s been interesting to watch how Representative Darrell Issa (CA-R) has added his voice to the open government and Internet policy community over the last several years. Rep. Issa was a key member of the coalition of open government advocates, digital rights advocates, electronic privacy wonks, Internet entrepreneurs, nonprofits, media organizations and congressmen that formed a coalition to oppose the passage of the Stop Online Piracy Act (SOPA) and PROTECT IP Act (PIPA) this winter. Rep. Issa strongly opposed SOPA after its introduction last fall and, working with key allies on the U.S. House Judicial Committee, effectively filibustered its advance by introducing dozens of amendments during the bill’s markup. The delay created time over Congress’ holiday recess for opposition to SOPA and its companion bill in the Senate (The PROTECT IP Act) to build, culminating in a historic “black out day” on January 18, 2012. Both bills were halted. 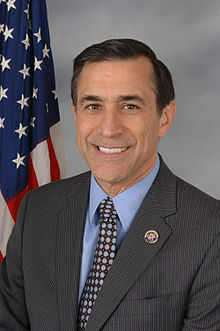 While he worked across the aisle on SOPA and PIPA, Rep. Issa has been fiercely partisan in other respects, using his powerful position as the chairman of the U.S. House Oversight and Government Reform Committee to investigate various policy choices and actions of the Obama administration and federal agencies. During the same time period, he’s also become one of the most vocal proponents of open government data and Internet freedom in Congress, from drafting legislation to standardize federal finance data to opposing bills that stood to create uncertainty in the domain name system. He also sponsored the ill-conceived Research Works Act, which expired after received fierce criticism from open access advocates. In recent years, Rep. Issa and his office have used the Web and social media to advance his legislative agenda, demonstrating in the process a willingness to directly engage with citizens and public officials alike on Twitter as @DarrellIssa, even to the extent of going onto Reddit to personally do an “Ask Me Anything.” Regardless of where one stands on his politics, the extent to which he and staff have embraced using the Web to experiment with more participatory democracy have set an example that perhaps no other member of Congress has matched. In June 2012, I interviewed Rep. Issa over the phone, covering a broader range of his legislative and oversight work, including the purpose of this foundation and his views on regulation, open data, and technology policy in general. More context on other political issue, his personal life, business background and political career can be found at his Wikipedia entry and in Ryan Lizza’s New Yorker feature. What is the Open Gov Foundation? In June, Representative Darrell Issa (R-CA) launched an “Open Gov Foundation” at the 2012 Personal Democracy Forum. Rep. Issa said then the foundation would institutionalize the work he’s done while in office, in particular “Project MADISON,” the online legislative markup software that his technology staff and contractors developed and launched after the first Congressional hackathon last December. If you visit the Open Gov Foundation website, you’ll read language about creating “platforms” for government data, from regulatory data to legislative data. Congressman Issa’s office stated that this Open Gov Foundation will be registered as a non-partisan 501c3 by mid-fall 2012. A year from now, he would like to have made “major headway” on the MADISON project working in a number of different places, not just federal House but elsewhere. Th general thrust of his admiration, said the Congressman, comes from that fact that these people are not just working hard to get government data out there, to deliver raw data, but to build things that are useful and that use that government data, helping to build tools that help bridge the gap for citizens. What do you hope to achieve with the Open Government Foundation? Rep. Issa: I’ve observed over 12 years that this expression that people use in Congress is actually a truism. And the expression they use is you’re entitled to your opinion but not your facts. Well, the problem in government is that, in fact, facts seem to be very fungible. People will have their research, somebody will have theirs. Their ability to get raw data in a format where everybody can see it and then reach, if you will, opinions as to what it means, tends to be limited. The whole goal that I’d like to have, whether it’s routing out waste and fraud — or honestly knowing what somebody’s proposal is, let’s just say SOPA and PIPA — is [to] get transparency in real-time. Get it directly to any and all consumers, knowing that in some cases, it can be as simple as a Google search by the public. In other cases, there would need to be digesting and analysis, but at least the raw data would be equally available to everyone. What that does is it eliminates one of the steps that people like Ron Wyden and myself find ourselves in. Ron and I probably reach different conclusions if we’re given the same facts. He will see the part of the cup that is empty and needs government to fill it. And I will see the part that exists only because government isn’t providing all of the answers. But first, we have to have the same set of facts. That’s one of the reasons that a lot of our initiatives absolutely are equally desired by the left and the right, even though once we have the facts, we may reach different conclusions on policy. Does you that mean more bulk data from Congress, which you supported with an amendment to a recent appropriations bill? Rep. Issa: Let’s say it’s not about the quantity of data; it’s about whether or not there’s meaningful metadata attached to it. If you want to find every penny being spent on breast cancer research, there’s no way to compare different programs, different dollars in different agencies today. And yet, you may want to find that. What we learned with the control board — or the oversight board that went with the stimulus — was that you’ve got to bring together all of the data if you’re going to find, if you will, people who are doing the same things in different parts of government and not have to find out only forensically after you’ve had rip-off artists rip-off the government. The other example is on the granting of grants and other programs. That’s what we’re really going for in the DATA Act: to get that level of information that can, in fact, be used across platforms to find like data that becomes meaningful information. Do you think more open government data remove some of the asynchronies of information around D.C.? Issa:A lot of people have monetized the compiling of data in addition to monetizing the consulting as to what its meaning is. What we would like to do is take the monetization of data and take it down to a number that is effectively zero. Analysis by people who really have value-added will always be part of the equation. Do you envision putting the MADISON Code onto GitHub, for open source developers in this country and around the world to use and deploy in their own legislatures if they wish? Rep. Issa: Actually, the reason that we’ve formed a public nonprofit is for just that reason. I don’t want to own it or control it or to produce it for any one purpose, but rather, a purpose of open government. So if it spawns hundreds of other not-for-profits, that’s great. If people are able to monetize some of the value provided by that service, then I can also live with that. I think once you create government information and, for that matter, appropriate private sector information, in easier and easier to use formats, people will monetize it. Oddly enough, they’ll monetize it for a fairly low price, because that which is easy, but you have to create value at a low cost. That which is hard, you can charge a fortune to provide that information to those who need it. Will you be posting the budget of the Open Gov Foundation in an open format so people know where the funding is coming from and what it’s being spent on? Rep. Issa: Absolutely. Although, at this point, we’re not inviting any other contributions of cash, we will take in-kind contributions. But at least for the short run, I’ll fund it out of my own private foundation. Once we have a board established and a set of policies to determine the relationships that would occur in the way of people who might contribute, then we’ll open it up. And at that point, the posting would become complex. Right now, it’s fairly easy: whatever money it needs, the Issa Family Foundation will provide to get this thing up and going. The old adage that “you can’t manage what you can’t measure” is often applied to organizations in today’s data-drenched world. Given the enormity of the United States federal government, breaking down the estimated $3.7 trillion dollars in the 2012 budget into its individual allocations, much less drilling down to individual outlays to specific programs and subsequent performance, is no easy task. There are several sources for policy wonks to turn use for applying open data to journalism, but the flagship database of federal government spending at USASpending.gov simply isn’t anywhere near as accurate as it needs to be to source stories. The issues with USASpending.gov have been extensively chronicled by the Sunlight Foundation in its ClearSpending project, which found that nearly $1.3 trillion of federal spending as reported on the open data website was inaccurate. If the people are to gain more insight into how their taxes are being spent, Congress will need to send President Obama a bill to sign to improve the quality of federal spending data. In the spring of 2012, the U.S. House passed by unanimous voice vote the DATA Act, a signature piece of legislation from Representative Darrell Issa (R-CA). H.R. 2146 requires every United States federal government agency to report its spending data in a standardized way and establish uniform reporting standards for recipients of federal funds. I spoke with Rep. Issa, who serves as the chairman of the U.S. House Government Reform and Oversight Committee, about the DATA Act and the broader issues around open government data at the Strata Conference in New York City. Daniel Schuman, the Sunlight Foundation’s legislative counsel, summarized our conversation on open government data over at the Sunlight Foundation’s blog. Video of our discussion is embedded below. Rep. Issa: …when I work with [Inspector Generals], they would love to have access to predictive [data analytics tools]. Today, they only have forensic. And in many cases, they have like stove pipe forensic. They only know after the fact, a portion of the data, and it frustrates them. We’re going to change that. The DATA Act is bipartisan, which here in Washington is very unusual. One of the reasons is that people who want to know from the left and the right want to be in the know. We believe that by mandating standard reporting and a process of greater transparency and, of course, the tools created to make this easy and inexpensive for the private sector to participate in will give us an opportunity which will at some time be used by the left or the right or often used by simply people who have a vested interested in advising the private sector accurately on what is, has and will become events in government or for that matter, events in the private sector that are being aggregated through the government. Your industry is going to be essential because if we give you more accurate, more easily compiled data, unless you turn it into information that’s valuable, we haven’t really accomplished what we want to. The same is true, though, unless you do it, my IGs won’t have private sector solutions that allow them to pick up COTS or near COTS solutions that are affordable and valuable and use them in evaluating government to drive out waste and fraud in government. What’s next for the DATA Act? The Senate version of the DATA Act, which is sponsored by Senator Mark Warner (D-VA) remains “pending” in the Homeland Security and Government Affairs Committee after a hearing last week, despite the considerable efforts of a new Data Transparency Coalition to move the bill. The hearing came one week after the coalition held a public DATA Demo Day that featured technology companies demonstrating different uses of standardized federal spending data, including claims that it could have prevented the scandal over excessive conference spending in the General Services Agency. At the hearing, Senator Warner proposed an amended version of the DATA Act that would drop the independent board modeled on the Recovery Accountability and Transparency Board that oversaw spending from the American Recovery and Reinvestment Act of 2009, as Joseph Marks reported for Next Gov. Gene Dodaro, the Comptroller General, testified about a newly-issued GAO report on federal spending transparency, which alternatively praised and criticized OMB’s efforts to comply with legislation to improve information availability. During the Q&A, Dodaro explained that it may be helpful for Congress to enact legislation declaring what spending information it wants to have available to the public, as a way of establishing priorities and direction. OMB Controller Daniel Werfel’s testimony [PDF] focused on OMB’s efforts to improve the accuracy and availability of spending information, largely defending the administration’s record. During the Q&A, Werfel emphasized that new legislation is not necessary to implement spending transparency as the administration already has the necessary authority. While his testimony highlighted the administration’s claims of what it has accomplished, it did not engage the concerns that OMB has dragged its feet over the last 4 years, or that OMB — as an arm of the president — may have mixed incentives about releasing potentially politically damaging information. He did explain that OMB has not released a statement of administration policy on the DATA Act, but that OMB (unsurprisingly) is less than enthusiastic about shifting responsibility over standard-setting and implementation to an independent body. Treasury Department Assistant Fiscal Secretary Richard Gregg testified [PDF] about ongoing internal efforts at Treasury to improve data quality and projects that will yield results in the future. During the Q&A, Gregg explained that legislation isn’t needed for financial transparency, leadership in the executive branch would be sufficient. This raises the question of whether sufficient leadership is being exercised. The question of leadership that Schuman raised is a good one, as is one regarding incentives. During July’s International Open Government Data Conference in DC, Kaitlin Bline, the senior developer working on the Sunlight Foundation’s Clearspending project, said that the problems with USASpending.gov government spending data come from oversight, not technology. The promise of standardizing federal spending data, grant data — or performance data — is that those entrusted with oversight could be empowered with predictive data analytics tools and teams to discover patterns and shift policy to address them. While the huge budget deficit in the United States is highly unlikely to be closed by cutting fraud and waste alone, making federal spending machine-readable and putting it online clearly holds promise to save taxpayers dollars. First, however, the quality of government spending data must be improved. No formal subsequent action on the DATA Act has been scheduled in the Senate and, with the August recess looming and many eyes turning to cybersecurity legislation, there are uncertain prospects for its passage in this election year’s legislative calendar. The need for the federal government, watchdogs and the people to be able to accurately track the spending of taxpayer dollars through high quality open government data, however, remains acute. While the version of CISPA that passed shifted before the final vote, ProPublica's explainer on CISPA remains a useful resource for people who wish to understand its contents. Declan McCullagh, CNET's tech policy reporter, has also been following the bill closely since it was introduced and he has published an excellent FAQ explaining how CISPA would affect you. As TechDirt observed last night, the final version of CISPA — available as a PDF from docs.house.gov contained more scope on the information types collected in the name of security. Specifically, CISPA now would allow the federal government to use information for the purpose of investigation and prosecution of cybersecurity crimes, protection of individuals, and the protection of children. In this context, a "cybersecurity crime" would be defined as any crime that involves network disruption or "hacking." Civil libertarians, from the Electronic Frontier Foundation (EFF) to the American Civil Liberties Union, have been fiercely resisting CISPA for months. "CISPA goes too far for little reason," said Michelle Richardson, the ACLU legislative counsel, in a statement on Thursday. "Cybersecurity does not have to mean abdication of Americans' online privacy. As we've seen repeatedly, once the government gets expansive national security authorities, there's no going back. We encourage the Senate to let this horrible bill fade into obscurity." "... disappointed that House leadership chose to block amendments on two core issues we had long identified — the flow of information from the private sector directly to NSA and the use of that information for national security purposes unrelated to cybersecurity. Reps. Thompson, Schakowsky, and Lofgren wrote amendments to address those issues, but the leadership did not allow votes on those amendments. Such momentous issues deserved a vote of the full House. We intend to press these issues when the Senate takes up its cybersecurity legislation." "CISPA supporters — a list that surprisingly includes SOPA opponent Congressman Darrell Issa — are quick to point out that the bill does not obligate disclosure of any kind. Participation is 'totally voluntary.' They are right, of course, there is no obligation for a private company to participate in CISPA information sharing. However, this misses the point. The cost of this information sharing — in terms of privacy lost and civil liberties violated — is borne by individual customers and Internet users. For them, nothing about CISPA is voluntary and for them there is no recourse. CISPA leaves the protection of peoples' privacy in the hands of companies who don't have a strong incentive to care. Sure, transparency might lead to market pressure on these companies to act in good conscience; but CISPA ensures that no such transparency exists. Without correctly aligned incentives, where control over the data being gathered and shared (or at least knowledge of that sharing) is subject to public accountability and respectful of individual right to privacy, CISPA will inevitably lead to an eco-system that tends towards disclosure and abuse." The context that already exists around digital technology, civil rights and national security must also be acknowledged for the purposes of public debate. As the EFF's Trevor Timm emphasized earlier this week, once national security is invoked, both civilian and law enforcement wield enormous powers to track and log information about citizens' lives without their knowledge nor practical ability to gain access to the records involved. On that count, CISPA provoked significant concerns from the open government community, with the Sunlight Foundation's John Wonderlich calling the bill terrible for transparency because it proposes to limit public oversight of the work of information collection and sharing within the federal government. "The FOIA is, in many ways, the fundamental safeguard for public oversight of government's activities," wrote Wonderlich. "CISPA dismisses it entirely, for the core activities of the newly proposed powers under the bill. If this level of disregard for public accountability exists throughout the other provisions, then CISPA is a mess. Even if it isn't, creating a whole new FOIA exemption for information that is poorly defined and doesn't even exist yet is irresponsible, and should be opposed." The good news, for those concerned about what passage of the bill will mean for the Internet and online privacy, is that now the legislative process turns to the Senate. The open government community's triumphalism around the passage of the DATA Act and the gathering gloom and doom around CISPA all meet the same reality in this respect: checks and balances in the other chamber of Congress and a threatened veto from the White House. "... effectively treats domestic cybersecurity as an intelligence activity and thus, significantly departs from longstanding efforts to treat the Internet and cyberspace as civilian spheres. The Administration believes that a civilian agency — the Department of Homeland Security — must have a central role in domestic cybersecurity, including for conducting and overseeing the exchange of cybersecurity information with the private sector and with sector-specific Federal agencies." At a news conference yesterday in Washington, the Republican leadership of the House characterized the administration's position differently. "The White House believes the government ought to control the Internet, government ought to set standards, and government ought to take care of everything that's needed for cybersecurity," said Speaker of the House John Boehner (R-Ohio), who voted for CISPA. "They're in a camp all by themselves." Representative Mike Rogers (R-Michigan) -- the primary sponsor of the bill, along with Representative Dutch Ruppersberger (D-Maryland) -- accused opponents of "obfuscation" on the House floor yesterday. While there are people who are not comfortable with the Department of Homeland Security (DHS) holding the keys to the nation's "cyberdefense" — particularly given the expertise and capabilities that rest in the military and intelligence communities — the prospect of military surveillance of citizens within the domestic United States is not likely to be one that the founding fathers would support, particularly without significant oversight from the Congress. It's crucial to recognize that cybersecurity legislation has been percolating in the Senate for years now without passage. That issue of civilian oversight is a key issue in the Senate wrangling, where major bills have been circulating for years now without passage, from proposals from Senator Lieberman's office on cybersecurity to the ICE Act from Senator Carper to Senator McCain's proposals. "At some point, privacy groups will have to come to an agreement with Congress over Internet legislation or risk being tarred as obstructionists. That, combined with the fact that most ordinary Americans lack the means to distinguish among the vagaries of different bills, suggests that Congress is likely to win out over the objections of EFF and the ACLU sooner rather than later. Thinking of CISPA as just another SOPA not only prolongs the inevitable — it's a poor analogy that obscures more than it reveals." That doesn't mean that those objections aren't important or necessary. It does mean, however, that anyone who wishes to join the debate must recognize that genuine security threats do exist, even though massive hype about a potential "Cyber 9/11" perpetuated by contractors that stand to benefit from spending continues to pervade the media. There are legitimate concerns regarding the theft of industrial secrets, "crimesourcing" by organized crime and the reality of digital agents from the Chinese, Iranian and Russian governments — along with non-state actors — exploring the IT infrastructure of the United States. "Due to the dependence of the U.S. government upon private contractors, the insecurity of one impacts the security of the other. The fact is that there are an unlimited number of ways that an attacker can compromise a person, organization or government agency due to the interdependencies and connectedness that exist between both." The good news today is that increased awareness of the issue will drive more public debate about what's to be done. During the week the Web changed Washington in January, the world saw how the Internet can act as a platform for collective action against a bill. On Monday, more than 60 distinguished IT security professionals, academics and engineers published an open letter to Congress urging opposition to any "'cybersecurity' initiative that does not explicitly include appropriate methods to ensure the protection of users’ civil liberties." In a time when partisanship and legislative gridlock have defined Congress for many citizens, seeing the leadership of the United States House of Representatives agree on the importance of using the power of data and social networking to open government was an early Christmas present. "Increased access, increased connection with our constituents, transparency, openness is not a partisan issue," said House Majority Leader Eric Cantor. "The Republican leader and I may debate vigorously on many issues, but one area where we strongly agree is on making Congress more transparent and accessible," said House Democratic Whip Steny Hoyer in his remarks. 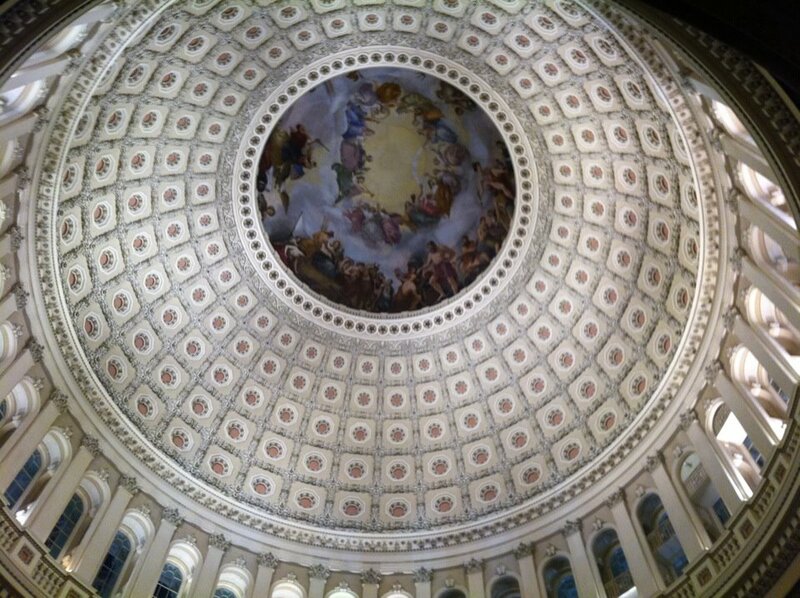 "First, Congress took steps to open up the Capitol building so citizens can meet with their representatives and see the home of their legislature. In the same way, Congress is now taking steps to update how it connects with the American people online." While the event was branded as a "Congressional Facebook Developer Hackathon," what emerged more closely resembled a loosely organized conference or camp. Facebook executives and developers shared the stage with members of Congress to give keynotes to the 200 or so attendees before everyone broke into discussion groups to talk about constituent communications, press relations and legislative data. The event might be more aptly described as a "wonk-a-thon," as Sunlight Foundation's Daniel Schuman put it last week. This "hackathon" was organized to have some of the feel of an unconference, in the view of Matt Lira, digital director for the House Majority Leader. Lira sat down for a follow-up interview last Thursday. "There's a real model to CityCamp," he said. "We had 'curators' for the breakout. Next time, depending on how we structure it, we might break out events that are designed specifically for programming, with others clustered around topics. We want to keep it experimental." Why? "When Aneesh Chopra and I did that session at SXSW, that personally for me was what tripped my thinking here," said Lira. "We came down from the stage and formed a circle. I was thinking the whole time that it would have been a waste of intellectual talent to have Tim O'Reilly and Clay Shirky in the audience instead of engaging in the conversation. I was thinking I never want to do a panel again. I want it to be like this." Part of the challenge, so to speak, of Congress hosting a hackathon in the traditional sense, with judging and prizes, lies in procurement rules, said Lira. "There are legal issues around challenges or prizes for Congress," he explained. "They're allowed in the executive branch, under DARPA, and now every agency under the COMPETES Act. We can't choose winners or losers, or give out prizes under procurement rules." What came out of this unprecedented event, in other words, won't necessarily be measured in lines of code. It's that Congress got geekier. It's that the House is opening its doors to transparency through technology. Given the focus on Facebook, it's not surprising that social media took center stage in many of the discussions. The idea for it came from a trip to Silicon Valley, where Representative Cantor said he met with Facebook founder Mark Zuckerberg and COO Sheryl Sandberg, and discussed how to make the House more social. After that conversation, Lira and Steve Dwyer, director of online communications and technology for the House Democratic Whip, organized the event. 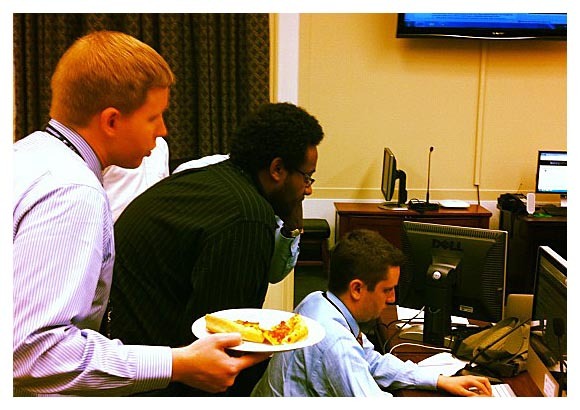 For a sense of the ideas shared by the working groups, read the story of the first congressional "hackathon" on Storify. "For government, I don't think we could have done anything more purposeful than this as a first meeting," said Lira in our interview. "Next, we'll focus on building this group of people, strengthening the trust, which will prove instrumental when we get into the pure coding space. I have 100% confidence that we could do a programming-only event now and would have attendance." As the Sunlight Foundation's John Wonderlich observed earlier this year, access to legislative data brings citizens closer to their representatives. "When developers and programmers have better access to the data of Congress, they can better build the databases and tools that let the rest of us connect with the legislature," he wrote. If more open legislative data goes online, when we talk about what's trending in Congress, those conversations will be based upon insight into how the nation is reacting to them on social networks, including Facebook, Twitter, and Google+. Facebook developers Roddy Lindsay, Tyler Brock, Eric Chaves, Porter Bayne, and Blaise DiPersia coded up a simple proof of concept of what making legislative data might look like. 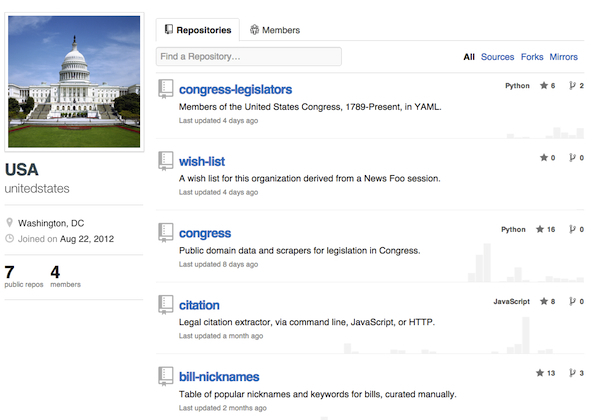 "LikeOcracy" pulls legislation from a House XML feed and makes it more social. The first version added Facebook's ubiquitous "Like" buttons to bill elements. A second version of the app adds more opportunities for reaction by integrating ReadrBoard, which enables users to rate sections or individual lines as "Unnecessary, Problematic, Great Idea or Confusing." You can try it out on three sample bills, including the Stop Online Piracy Act. Likeocracy doesn't tap into Facebook's Open Graph, but it does hint at what integration might look like in the future. Justin Osofsky, Facebook's director of platform partnerships, described how the interests of constituents could be integrated with congressional data under Facebook's new Timeline. Citizens might potentially be able to simply "subscribe" to a bill, much like they can now for any web page, if Facebook's "Subscribe" plug-in was applied to the legislative process. The other app presented at the hackathon came not from the attendees but from the efforts of InSourceCode, a software development firm that's also coded for Congressman Mike Pence and the Republican National Committee. Rep. Darrell Issa, chairman of the House Committee on Oversight and Government Reform, introduced the beta version of MADISON on Wednesday, a new online tool to crowdsource legislative markup. The vision is that MADISON will work as a real-time markup engine to let the public comment on bills as they move through the legislative process. "The assumption is that legislation should be open in Congress," said Issa. "It should be posted, interoperable and commented upon." As Nick Judd reported at techPresident, the first use of MADISON is to host Issa and Sen. Ron Wyden's "OPEN bill," which debuted on the app. Last week, the congressmen released the Online Protection and Enforcement of Digital Trade Act (OPEN) at Keepthewebopen.com. The OPEN legislation removes one of the most controversial aspects of SOPA, using the domain name system for enforcement, and instead places authority with the International Trade Commission to address enforcement of IP rights on websites that are primarily infringing upon copyright. Issa said that his team had looked at the use of wikis by Rep. John Culberson, who put the healthcare reform bill online in a wiki. "There are some problems with editors who are not transparent to all of us," said Issa. "That's one of the challenges. We want to make sure that if you're an editor, you're a known editor." MADISON includes two levels of authentication: email for simple commenting and a more thorough vetting process for organizations or advocacy groups that wish to comment. "Like most things that are a 1.0 or beta, our assumption is that we'll learn from this," said Issa. "Some members may choose to have an active dialog. Others may choose to have it be part of pre-markup record." Issa fielded a number of questions on Wednesday, including one from web developer Brett Stubbs: "Will there be open access or an API? What we really want is just data." Issa indicated that future versions might include that. Jayson Manship, the "chief nerd" at InSourceCode, said that MADISON was built in four days. According to Manship, the idea came from conversations with Issa and Seamus Kraft, director of digital strategy for the House Committee on Oversight and Government Reform. MADISON is built with PHP and MySQL, and hosted in RackSpace's cloud so it can scale with demand, said Manship. "It's important to be entrepreneurial," said Lira in our interview. "There are partners throughout institutions that would be willing to do projects of different sizes and scopes. MADISON is something that Issa and Seamus wanted to do. They took it upon themselves to get the ball rolling. That's the attitude we need." "We're working to hold the executive accountable to taxpayers," said Kraft last week. "Opening up what we do here in these two halls of Congress is equally important. MADISON is our first shot at it. We're going to need a lot of help to make it better." Kraft invited the remaining developers present to come to the Rayburn Office Building, where Manship and his team had brought in half a dozen machines, to help get MADISON ready for launch. While I was there, there were conversations about decisions, plug-ins and ideas about improving the interface or functionality, representing a bona fide collaboration to make the app better. The terms for the site warn the user that anything they write on it will become public domain — but the code itself is proprietary. Meanwhile, OpenCongress' David Moore points out that the code that powers his organization's website, which also allows users to comment on individual provisions of bill text, is open source and has been available for some time. In theory, this means the Oversight staff could have started from that code and built on it instead of beginning from scratch. The code being proprietary means that while people like Moore might be able to make suggestions, they can't just download it, make their own changes and submit them for community review — which they'd happily do at little or no cost for a project released under an open-source license. As Moore put it, "Get that code on GitHub, we'll do OpenID, fix the design." When asked about whether the team had considered making MADISON code open source, Manship said that "he didn't know, although they weren't opposed to it." While Moore welcomed MADISON, he also observed that Open Congress has had open-source code for bill text commenting for years. @seamuskraft @mattlira glad to chat, will email. We see first step as liberating full #opengovdata (API & bulk) for MADISON & OC & open Web. The decision by Issa's office to fund the creation of an app that was already available as open-source software is one that's worth noting, so I asked Kraft why they didn't fork OpenCongress' code, as Judd suggests. "While there was no specific budget expense for MADISON, it was developed by the Oversight Committee," said Kraft. "While we like and support OpenCongress' code, it didn't fit the needs for MADISON," Kraft wrote in an emailed statement. What's next is, so to speak, an "OPEN" question, both in terms of the proposed SOPA alternative and the planned markup of SOPA itself on December 15. The designers of OPEN are actively looking for feedback from the civic software development community, both in terms of what functionality exists now and what could be built in future iterations. @MattLira @DarrellIssa @SeamusKraft MADISON is much-welcomed, but PPF's #opengov ultimate goal is open API for @THOMASdotgov -cc @digiphile. As Schuman highlighted, the Sunlight Foundation has been focused on opening up Congress through technology since the organization was founded. To whit: "There have been several previous collaborative efforts by members of the transparency community to outline how the House of Representatives can be more open and accountable, of which an enduring touchstone is the Open House Project Report, issued in May 2007," wrote Schuman. One successful example is how cities have made public transit data accessible so developers can use it in apps and websites. The end result has been commuters saving time every day and seeing more punctual trains and buses as a result of the transparency. Legislative data is far more complex, but the same principles apply. If we make the information available, I am confident that smart people like you will use it in inventive ways. Hoyer's specific citation of the growth of open data in cities and an ecosystem of civic applications based upon it is further confirmation that the Gov 2.0 meme is moving into the mainstream. Making THOMAS.gov into a platform for bulk data would change what's possible for all civic developers. What I really want is "data on everything," Stubbs told me last week. "THOMAS is just a visual viewer of the internal stuff. If we could have all of this, we could do something with it. What I would like is a data broker. I'd like a RESTful API with all of the data that I could just query. That's what the government could learn from Facebook. From my point of view, I just want to pull information and compile it." If Hoyer and the House leadership would like to see THOMAS.gov act as a platform, several attendees at the hackathon suggested to me that Congress could take a specific action: collaborate with the Senate and send the Library of Congress a letter instructing it to provide bulk legislative data access to THOMAS.gov in structured formats so that developers, designers and citizens around the nation can co-create a better civic experience for everyone. "The House administration is working on standards called for by the rule and the letter sent earlier this year," said Lira. "We think they will be satisfactory to people. The institutions of the House have been following through since the day they were issued. The first step was issuing an XML feed daily. 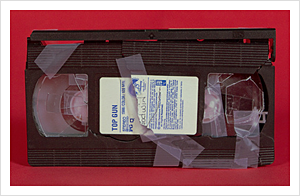 Next year, there will be a steady series of incremental process improvements. When the House Administrative Committee issues standards, the House Clerk will work on them. " Despite the abysmal public perception of Congress, genuine institutional changes in the House of Representatives driven by the GOP embracing innovation and transparency are incrementally happening. As Tim O'Reilly observed earlier this year, the current leadership of the House on transparency is doing a better job than their predecessors. In April, Speaker Boehner and Majority Leader Cantor sent a letter to the House Clerk regarding legislative data release. Then, in September, a live XML feed for the House floor went online. 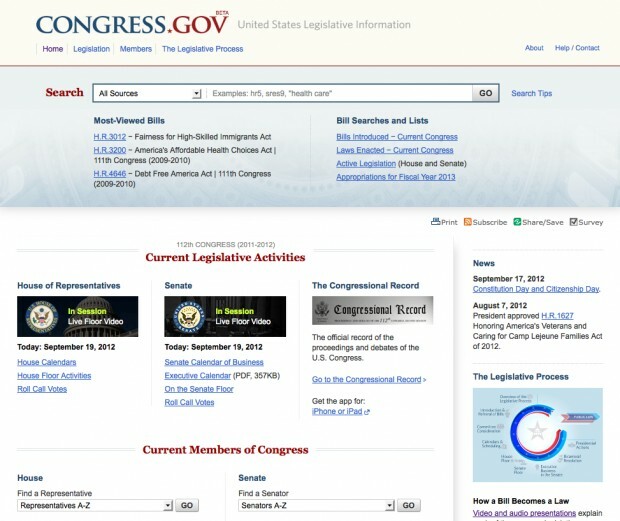 Yes, there's a long way to go on open legislative data quality in Congress. That said, there's support for open-government data from both the White House and the House. "My personal view is that what's important right now is that the House create the right precedents," said Lira. "If we create or adopt a data standard, it's important that it be the right standard." Even if open government is in beta, there needs to be more tolerance for experiments and risks, said Lira. "I made a mistake in attacking We the People as insufficient. I still believe it is, but it's important to realize that the precedent is as important as the product in government. In technology in general, you'll never reach an end. We The People is a really good precedent, and I look forward to seeing what they do. They've shown a real commitment, and it's steadily improving." As with any set of tools, success shouldn't be measured solely by media reports or press releases but by the outcomes from their use. The hard work of bipartisan compromise between the White House and Congress, to the extent it occurs, might seem unlikely to be publicly visible in 140 characters or less. "People think it's always an argument in Washington," said Lira in our interview. "Social media can change that. We're seeing a decentralization of audiences that is built around their interests rather than the interests of editors. Imagine when you start streaming every hearing and making information more digestible. All of a sudden, you get these niche audiences. They're not enough to sustain a network, but you'll get enough of an audience to sustain the topic. I believe we will have a more engaged citizenry as a result." Lira is optimistic. "Technology enables our republic to function better. In ancient Greece, you could only sustain a democracy in the size of city. Transportation technology limited that scope. In the U.S., new technologies enabled global democracy. As we entered the age of mass communication, we lost mass participation. Now with the Internet, we can have people more engaged again." There may be a 30-year cycle at play here. Lira suggested looking back to radio in the 1920s, television in the 1950s, and cable in the 1980s. "It hasn't changed much since; we're essentially using the same rulebook since the '80s. The changes made in those periods of modernization were unique." Thirty years on from the introduction of cable news, will the Internet help reinvigorate the founders' vision of a nation of, by and with the people? "I do think that this is a transformational moment," said Lira. "It will be for the next couple of years. When you talk to people — both Republicans and Democrats — you sense we're on the cusp of some kind of change, where it's not just communicating about projects but making projects better. Hearings, legislative government and executive government will all be much more participatory a decade from now. " In that sweep of history, the "People's House" may prove to be a fulcrum of change. "If any place in government is going to do it, it's the House" said Lira. "It's our job to be close to the public in a way that no other part of government is. In the Federalist Papers, that's the role of the House. We have an obligation to lead the way in terms of incorporating technology into real processes. We're not replacing our system of representative government. We're augmenting it with what's now possible, like when the telegraph let people know what the votes were faster." The nature of record keeping and government transparency in the information age is rapidly changing. Officials can text, tweet, direct message, send "Facemail," IM or Skype, all from a personal smartphone. That's why yesterday's testimony of David Ferriero, Archivist of the United States, at a hearing on "Government 2.0: Federal Agency Use Of Web 2.0 Technologies" was both critically relevant and useful. (It's embedded below, after the jump. )Officials are "free to use external accounts as long as emails are captured into records management systems," he said. "Every new technology provides new challenges to what is a record." Ferriero said that new guidance on government use of social media will be released this fall, updating the 2009 guidance issued by the National Archives and Records Administration (NARA). The biggest challenge, said Ferriero, is whether the record is the whole site or just a portion. "Web 2.0 offers opportunities unimagined a decade ago," he said. David McClure, associate administrator for citizen services and innovative technologies at the General Services Administration, echoed that sentiment in his testimony. "Web 2.0 isn't fundamentally about the technology itself but how people are coming together to achieve extraordinary results," he said, pointing to uses for idea management, ranking or ranking ideas, communication and more. "From an efficiency perspective, a lot of software meets those needs without the need for the agency to build tools, when the market is as robust as it is today." The potential of Web 2.0 technology, as illustrated by the many examples McClure provided in his testimony, is balanced by both risk and privacy concerns. "The expectation is that any tool for government use adheres to the Privacy Act and a Privacy Impact Assessment," said McClure. Applications must be compliant with relevant regulations to be on Apps.gov, said McClure. Gregory Wilshuen, director of information security issues for the GAO, testified at the hearing about government security challenges posed by the use of Web 2.0 platforms by federal agencies. He delivered a new report, embedded below, and said that the GAO will be looking at the preparation of agencies to retain records from social media platforms. "We've found a number of agencies using technology to interact well," he said. "Several are using technology in an effective manner using videos and blogs." Wilshuen said that the GAO will examine whether information maintained by third-party providers is subject to Freedom of Information requests, which is, as he put it, as "rather strenuous." The challenge throughout all of these applications lies in privacy, security and records management, said Wilshuen. "Are these federal records?" "If we're going to be advising other agencies on how to use these tools, we need to use them ourselves," said Ferriero. For instance, Ferriero said that given the severe budget conditions expected for the year ahead, they're using IdeaScale to crowdsource ideas. Similarly, the National Archives crowdsourced the redesign of its website. McClure was crystal clear on one point: the rapid changes to technology have changed American society. "Web 2.0 tools are essential for responding to shifting expectations of government," he said, citing the hundreds of billions of pieces of content shared on social networks and viewership of YouTube. McClure said that government is "expected to engage" on these new platforms. Using them, however, "should be aligned with core government principles," much as social media is used for business purposes in the private sector. McClure pointed to the Library of Congress, State Department and the TSA's IdeaFactory as examples of agencies using social media to deliver on their missions. Simpson urged the subcommittee not only to look at abstract technologies but also to compare those providing services, their approaches to privacy. In cloud computing and security, there's a "tendency of tech companies to overpraise." Simpson said Google missed the deadline for its Los Angeles cloud implementation, as the city had to come up with more money after Google did not meet security requirements set by the Los Angeles police department. (Google and partner Computer Sciences Corp. agreed to reimburse the city for the cost of the delay, which, according to MarketWatch, should only reach about $135,000). Due to continued friction between Republicans and the Obama White House, the oversight hearing got off to a bit of a bumpy start. Politics overshadowed the technology. At issue was the Google Buzz imbroglio that involved White House deputy CTO Andrew McLaughlin and the absence of White House deputy CTO Beth Noveck, who had originally been slated to testify in front of the subcommittee on June 24th. Contrary to earlier reports, Consumer Watchdog's John Simpson did testify. Rep. Patrick McHenry (R-SC) did not, nor did Rep. Darrell Issa (R-CA). Issa, the ranking member on the subcommittee, has continued to voice concerns about the administration's Google ties. McHenry also raised concerns about reports that White House staff met lobbyists at Caribou Coffee or used personal email accounts to communication, thereby avoiding visitor logs or records management systems. It is unfortunate that, due to the politics surrounding the hearing, Noveck did not testify, a choice perhaps driven by media reports of a "showdown," as her knowledge of the use of social software by the federal government would have offered insight to both the subcommittee and the American people, to whom she and the Representatives are both ultimately responsible. After votes to subpoena Noveck and adjourn the hearing were denied on party lines, 5-4, the subcommittee heard from the four witnesses. Hillicon Valley reported further on the political wrangling yesterday. The Oversight Committee posted videos of the testimony and the back and forth between legislators. Additionally, House IT staff said the government hearing on Government 2.0 would be streamed at oversight.house.gov. It was impossible to miss, however, that the committee Twitter account, @OversightDems, didn't issue a single tweet about the hearing. An ironic committee policy came to light as well: only credentialed press were allowed to use laptops at the hearing, hampering the ability of government staff, bloggers or citizens to participate in documenting, discussing or posting status updates about the event online. Emily Long, a reporter from NextGov, didn't find the hearing to be social at all. Given the focus on the elements of open government in 2010, participation, transparency and collaboration, or Government 2.0 as described by McClure, wherein lightweight tools are used to share information about government activities, that policy deserves to be revisited. La Bibliothèque du Congrès a annoncé aujourd’hui qu’elle avait acquis les archives de Twitter. Les milliards de tweets postés publiquement depuis le lancement du site de microblogue en 2006 deviendront accessibles à la postérité. L’objectif de la Bibliothèque est de conserver des «traces» d’un certain vécu collectif, dans le but de mieux définir dans le futur, le contexte d’une époque et d’un endroit donné. Actuellement, la Bibliothèque affirme détenir plus de 167 To de données numériques. President Obama promised change in Washington, but one year in we’ve got nothing but gridlock. Professor Lawrence Lessig has known Obama for years, and in this video from our friends at The Nation, Lessig calls on Obama–and all of us–to push for real change: change in Congress. We’ll be discussing this issue with Lessig and others on the show soon! Tags: therealnews real news media politics U.S. congress arms war "E. Jarecki"